People love apps. People love love. People love distractions. People love immediate gratification. People love what’s next. People love getting a glimpse into the lives of others. People love attention and validation. People love hooking up. People love getting over other people quickly. People love stories. People love beauty. People love originality. People love to laugh. People love cleverness. People love to swipe. For those fortunate enough to not know what Tinder is or had this app play a role in your life, it essentially let’s people in your area swipe left if they don’t like what they see or swipe right if they do. If you both swipe right, let the messaging begin. Since moving back to Canada in April 2014, I’ve dabbled here and there. These are my thoughts. We live in a crazy, amazing, messed up world so Tinder fits right in. It’s absolutely a good way to kill some time, share stories with friends and the possibility of meeting cool people or more. I would say I have met just under 10 people and I never met up with anyone a second time. I’ve never even held a match’s hand! 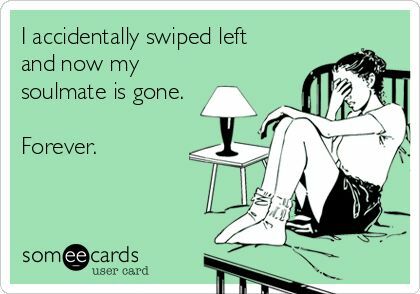 The most memorable Tinder quote I have was when I met up for lunch with a girl shortly after coming back from living in Thailand (which by the way, I miss tremendously daily) and after 20 minutes or so, she says to me “You are very uncooperative”. She really saw to my core that day my friends. She ended the date by saying “Do you not meet very many new people?” My response should have been “I actually meet tons of new people and have the best friends I could ask for so that’s how I know you won’t be one of them” but I’m not quick witted so it ended there. Another lady told me she could tell the second we met that I wasn’t interested. 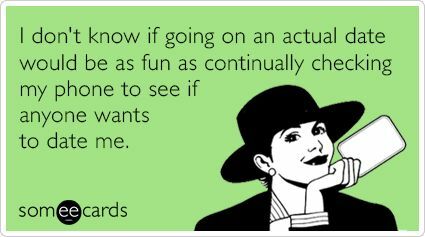 People are quite perceptive and I’m also terrible at pretending. And as a card in Cards Against Humanity says, Pretending to Care goes a long way. Being a guy on Tinder is a different world that being any woman on Tinder and especially if that women is above average looking. I could easily have a swipe session and not get any matches. A female doing the same could easily rack up over a 100. So if your confidence is low and could use a little boost, a short time on Tinder might turn that around until guys start messaging you what I can only imagine are quite sexual and borderline offensive things. If your first message is Hi, you are dead in the water. If you are a guy, you need to find something interesting about that person or a clever joke. My favourite that I’ve used is “I’m 94% sure this is how my grandparents met. How did yours meet?” Gold. However, if you are a lady, you don’t need to worry about messaging first. He’ll message. They always do. 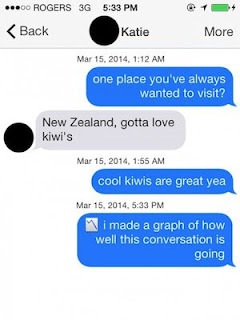 Other Tinder phenomenons include putting your height in your proflie; having 5 other people on your profile picture which makes swiping a total guessing game; guys writing "no hookups" which I find quite bold; collecting matches but not messaging or replying; being Polish and there are apparently only 4 names for women here; emojis are almost always welcome when used appropriately/inappropriately; Tinder used to be completely free but now you only get a certain amount of swipes but for over $20 a month, you can swipe forever and from different locations; there are books and dating coaches that can help people get more matches and "win" Tinder; I'd say I have lost at Tinder no doubt. Overall, while swiping is fun and even people in relationships usually want to swipe a few pictures just to see what all of the hype is about, I generally feel that Tinder doesn’t make my life any better and usually just makes me feel slightly less good looking/fun. I’m not sure how much better looking/rich I need to appear in my profile but I feel like there are a lot of monkeys walking around in Warsaw with good looking girls and I have made zero friends outside of work. I have some work to do in that department that doesn’t involve an app but I might just take my grandparent pickup line with me. There were tons of other Tinder related pictures I wanted to post but things get dirty quite quickly. 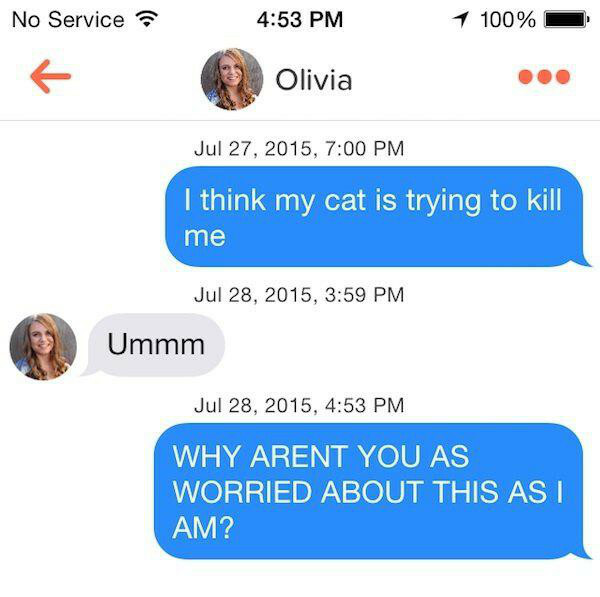 If you are interested, just google Chive Tinder and get ready to be horrified. Mom, you don’t need to Google anything. Church might be the right answer. For both of us.